I’m genuinely not sure how to mark this milestone. Most blogs put up a couple of posts, then abruptly stop. Some last a couple of years before petering about. But here’s mine, now in double figures. Heaven knows it’s not far from becoming a teenager and then what’ll I do? It’ll be staying out late and bringing home unsuitable websites before I know it. With this post there will be 1053 posts. If you have been following this blog all these years, thank you for sticking with me. If you are new to it, be welcome. If you’re an occasional visitor, it’s lovely to see you. Thank you, everyone, because without readers a blog is just someone yelling into the void. Thank you for reading and thank you for being there. You make the darkness a little less dark and frightening. Bless you. This entry was posted in About Authors I love. and tagged blogs, celebration, creative writing, depression, healing words, Vivienne Tuffnell, writing. Bookmark the permalink. Congratulations for staying power, Viv..
Bravo, Viv, with all the ups and downs of real life and blogging life, it’s a miracle to keep going so long. Wishing you many more happy years! Mazel tov! I think we need some Jewish solidarity with a natural celebration to bake a cake. Well done. I am one of the ‘peterers’ but there may be some breath in the corpse yet! Thank you. You must be around the same blog-age as me, Michael so your anniversary will be soon, no? October something or other. I think I had just turned 17. You know what I mean! Although I’m late to the “Tightrope Walking” party, (I’ve been reading these past 2/3 years) I love your “Zen” blog Viv, with its unique brand of honesty, inspiration, magick and mayhem! So thank you for including links to many older posts that I’ve missed and long may you continue with your writing. Yay! Roll on those teenage years! My own poetry and Jungian thought blog stands at three and a half years and counting now … wow, it would be incredible to get to 10+ years! 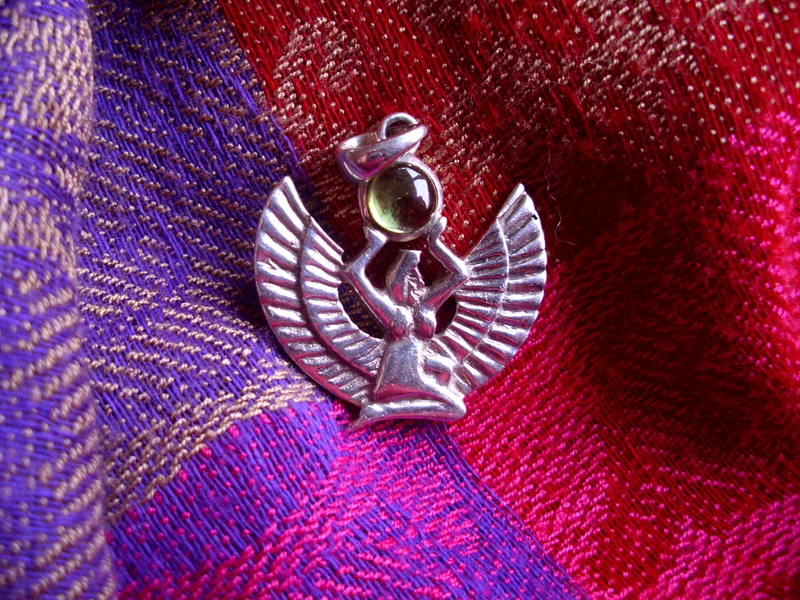 Good luck with your Egyptian-themed novel and enjoy wearing your beautiful new silver pendant. Warm and wild blessings, Deborah.